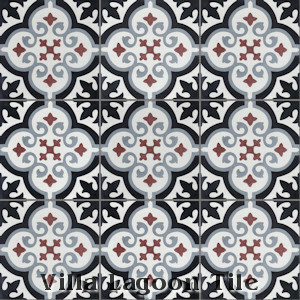 This is a 4-color 8" cement tile, using Black, White, Eagle Brown, and Mountain from the South Beach Palette. 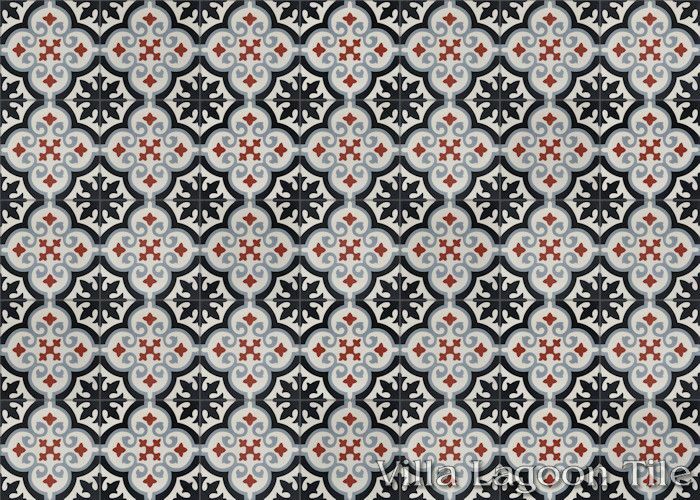 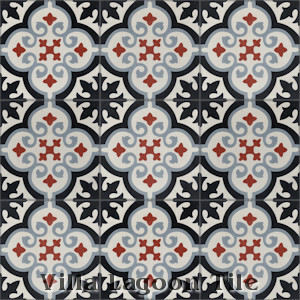 Our Fiore family of patterns is a staple of traditional cement tile, featuring numerous organic curves and floral accents. 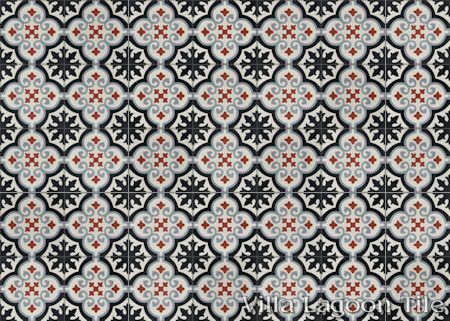 We call this colorway "Winter", dominated by white with grays, and a hint of red: the small winter berries showing the signs of life waiting to Spring anew. Standard Price:$7.29 per tile ($16.77 / square foot)8 tiles per box. 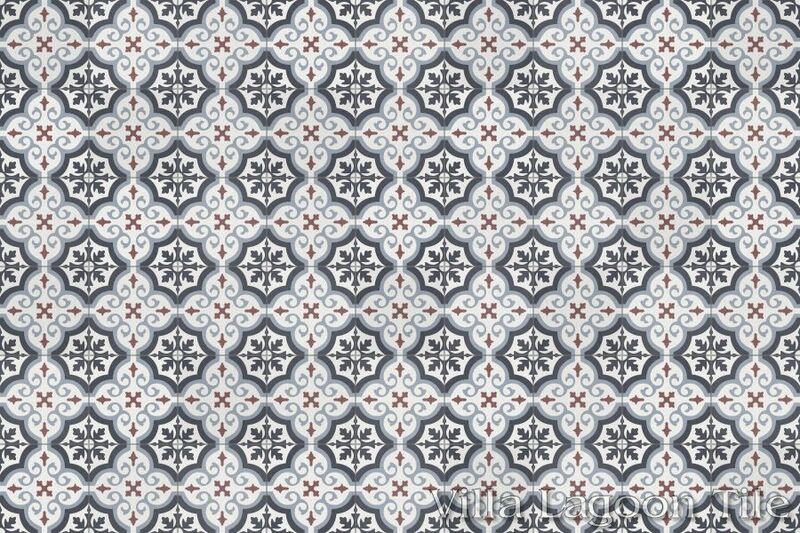 8" is the U.S. nominal size. Produced in metric to 20cm x 20cm x 12mm. 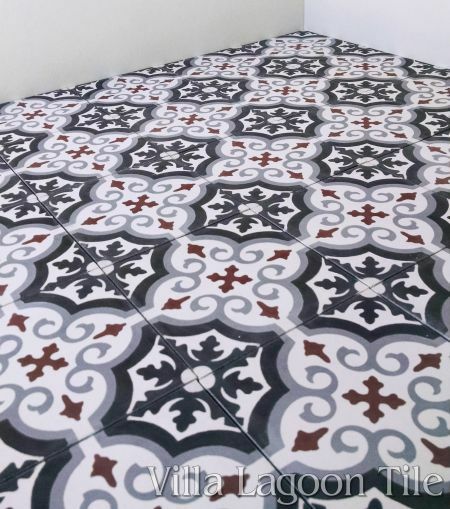 Approximately 7 &frac78; inches square, ½" thick. 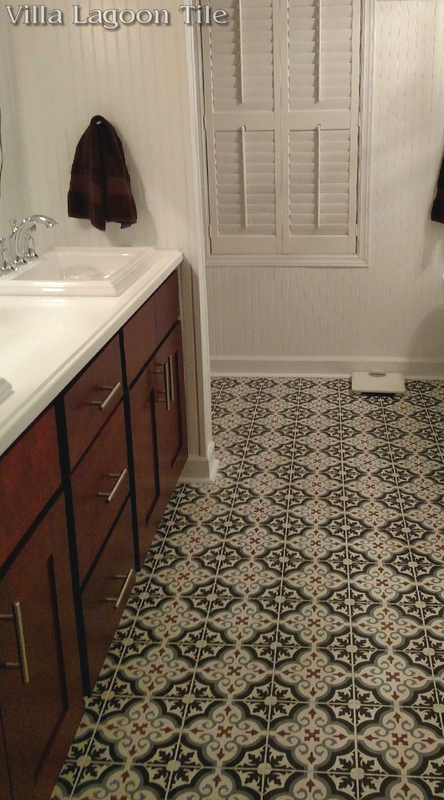 2.3 tiles per square foot. 8 tiles per box standard. 8" Cement Tile, 5/8" thick, 12 tiles per box, 2.3 tiles per square foot. 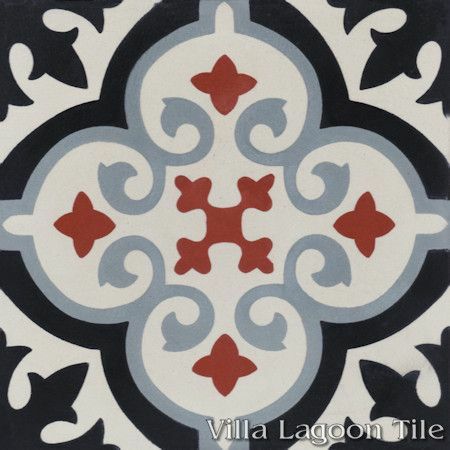 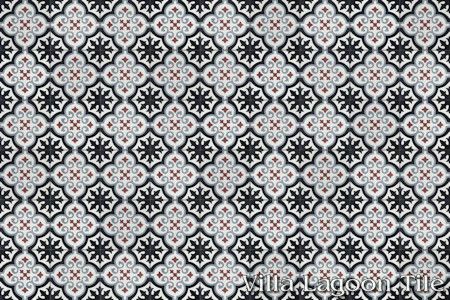 Villa Lagoon Tile's "Fiore E" cement tile pattern using White, Black, Mountain, and Eagle Brown from the South Beach Palette. 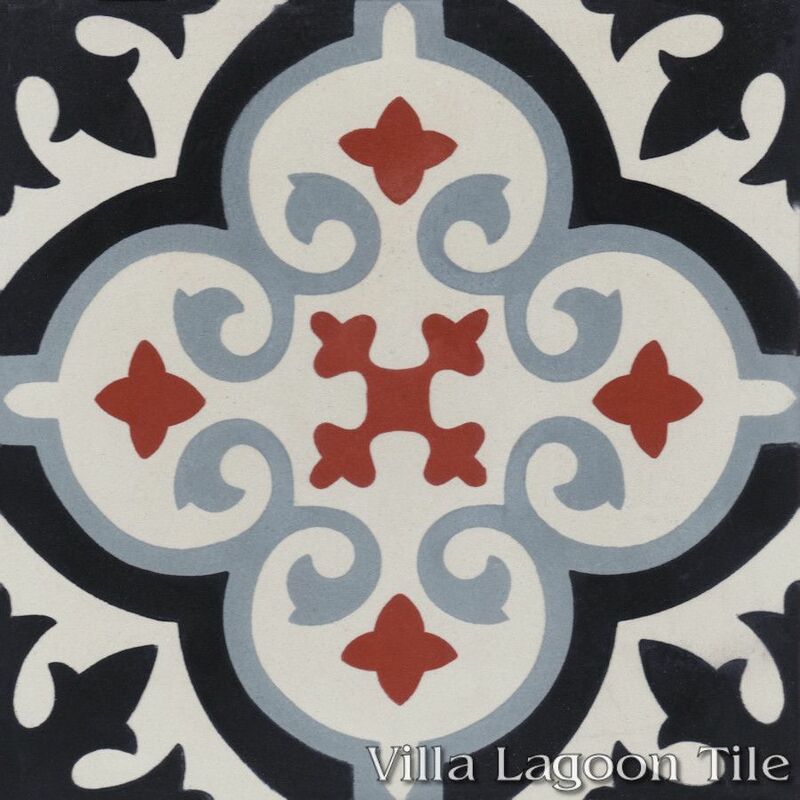 Villa Lagoon Tile's "Fiore E" cement tile pattern using Seashell White, Black, Mountain, and Beacon Hill from the South Beach Palette. This older lot was a 4-color 8" cement tile, using White, Grey, Anthracite, and Mahogany from the Marrakesh Palette. 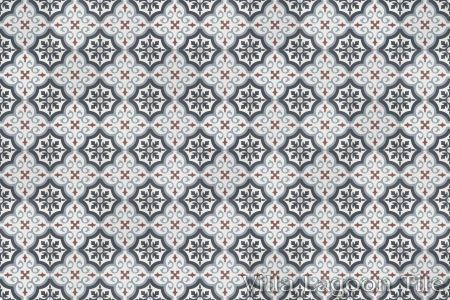 While the Marrakesh Collection is made by our primary studio for our European clients, our new production uses a slightly different pattern, and colors from our South Beach Collection.